Can you go on web sites like espn or no? You can't access ESPN, but you can access Yahoo! I've added a screenshot of link to Yahoo! 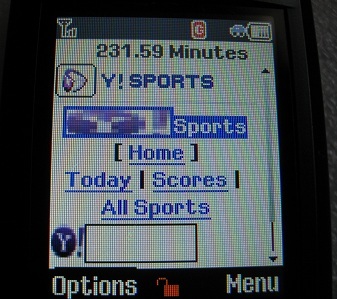 Sports via T301g's mobile web access. Once you click through, it's broken down by sports. For example, there's a separate link for the MLB etc.